When founder Charlotte Vøhtz’s young daughter Sandra was battling multiple skin allergies and eczema, she realised how difficult it was to find products gentle enough for Sandra’s sensitive skin and products deemed as “natural” at the time only needed less than 1% of natural or organic ingredients to be classed as natural. So in 1995, she decided to do something about the lack of products available and create her own organic creams and products that are carefully tailored to Sandra’s allergy-prone skin. 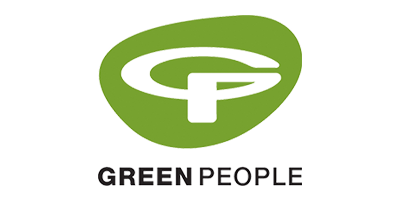 With a promise to never use aggressive ingredients or synthetic chemicals, and to never test on animals, in 1997 Green People was born after a few years of research and development. Green People really took off between 2000-2014 with their organic products being stocked in multiple retailers. But that did not stop Charlotte declining offers to be sold in leading pharmacies and big business that didn’t meet the brand's high ethical standards. Over the years this brand has been presented with over 140 awards because of their amazing and ethical ethos. Some of their bestselling products include their Organic Children Sun Lotion SPF 30 and Irritated Scalp Shampoo as well as many natural deodorants. Better for the environment, better for your skin, better for your body; what’s not to love about Green People?